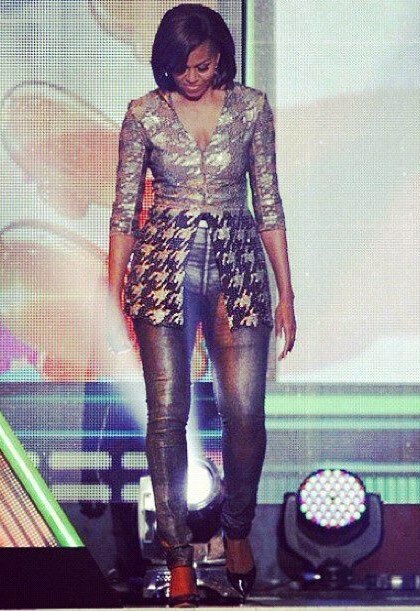 The first lady wore a sparkly houndstooth patterned tunic, paired with slim metallic pants. Signature kitten heels in black patent leather completed the look at last night’s Kids choice Awards. I LOVE IT, SHE FREAKIN KIIILLLLEEEDD IT! Absolutely Gorgeous!! Gotta luv that First Lady Style!! and she rocked it too!!!! I love this! I saw it on the news this morn! WOW AMAZING STYLE!!! !This is a great post and I am loving your blog, it has a great style and like its layout, it has given me ideas for mine, so thanks so much for that ☺ I found your blog from a comment you left on another blog and really love it. 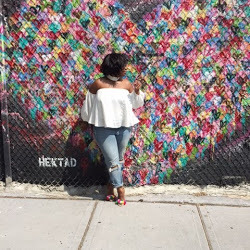 It would be really cool if you could check out my blog and maybe we would follow each other?